20 DAYS OF UNLIMITED SPINNING CLASSES FOR JUST £10! Start your journey on our rather tasty introductory offer of, 20 days of unlimited classes for just £10! This gives you chance to sample all our talented Cyclerockstar presenters, to find you preferred fit. They all have their own unique style and are all certified with the worlds leading indoor cycling qualification, but, just like an ice-cream, they all have a different flavour! This outstanding deal is available to 'new riders' only. 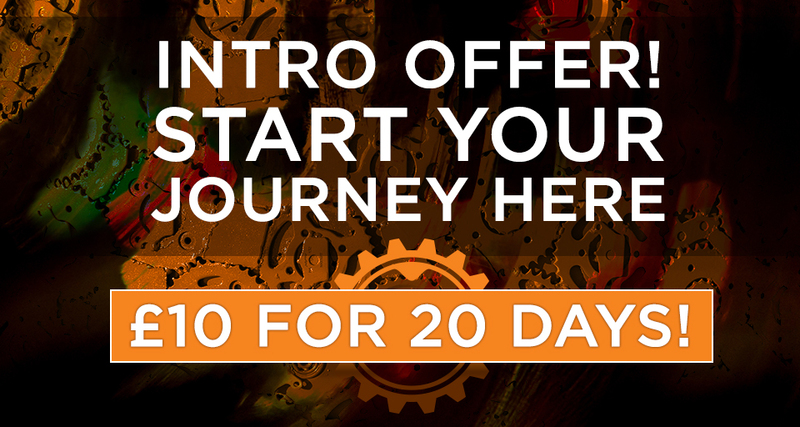 Each Introductory offer activates on the first reserved class, and ends 20 days later. This offer is strictly available for new members who do not currently hold an on-line account.